This is our Televes DAT790 Mix antenna. It’s made especially for the US market and picks up both UHF and VHF signals. It also filters out LTE signals used in US cell phone service and includes a powerful amplifier. It’s not a European antenna. It’s European-made, but if you brought it to Europe, it wouldn’t work right. Now wait… I can hear you saying. What about this antenna sold in Europe? Not only is it made by Televes but it even looks the same in the picture! I mean, really the same! Except it’s not. The devil is in the details. This is a Belling-Lee connector and for my money, it’s not as good as an F connector. First of all it’s a push-on connector which means it could also be a “pull-off” connector at just the wrong moment. Second, using a metal center pin means more loss in the connection. Televes even knows this which is why they recommend “Easy F” connections to their amplifiers. An F connector uses bare wire in the center. This makes it less durable but gives better signal. An antenna made for Europe also uses a different power supply, at least if it plugs into power. Amplified antennas in the US use a 110 volt, 60 hertz power source with a NEMA plug (you know what this is, it’s, you know, a plug. ) You also know that Europeans use a variety of weird plugs in different shapes and sizes, none as friendly as the ones we use here. More importantly, an antenna designed for European frequencies will be engineered differently. European channels use more of the UHF band and very rarely use the VHF band. It’s possible to engineer an antenna that will work in both places (as long as it has the right connector, but other than the TV reception part of it, there’s nothing else common. Oh, there’s one last part. I’m talking about the LTE filter. LTE means cellular internet, and those connections take place on very different frequencies in the US and Europe. Most European countries put LTE data at 790MHz while in the US, there are a range of frequencies starting at 698MHz. 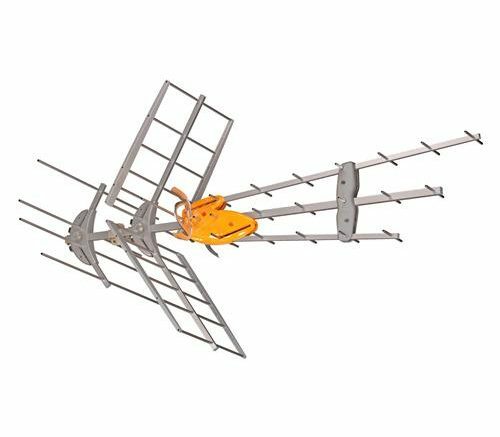 You need the right filter to make sure your antenna isn’t picking up these frequencies and overloading other TV antenna signals. The electronics in US antennas need to be calibrated to filter out the right signals. When we first started carrying Televes antennas, people claimed the LTE filters were wrong because the model number still had a “790” in it. It’s true the model number isn’t “698” but trust me, the filters are right. At Solid Signal, we search the world for antennas that work well for all our customers, and that means sourcing from Europe and Asia. However, all our antennas are approved by US regulatory agencies and are designed for the US market. We wouldn’t sell them if they weren’t.